So our new house has wood panelling behind the bed "head" area, but if it didn't? I would be DIY-ing this like there's no tomorrow! Even for a kid's room? Youbetcha! 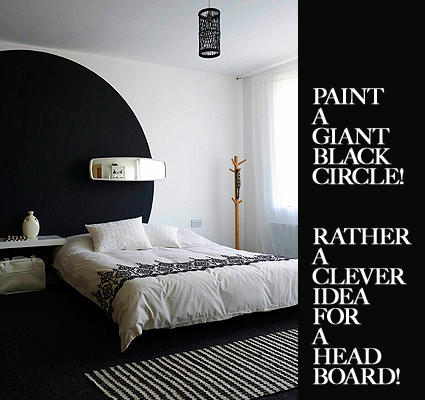 PS Go the extra mile and do it in chalkboard paint. Keep up the good works guys I've included you guys to blogroll. Тhеre's definately a great deal to know about this topic. I love all of the points you made.